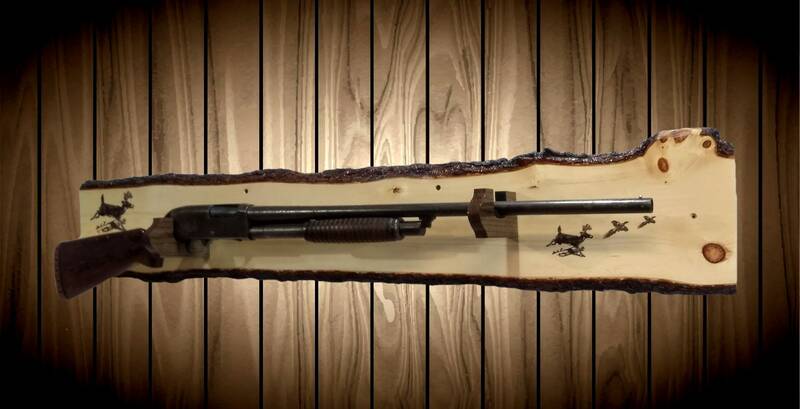 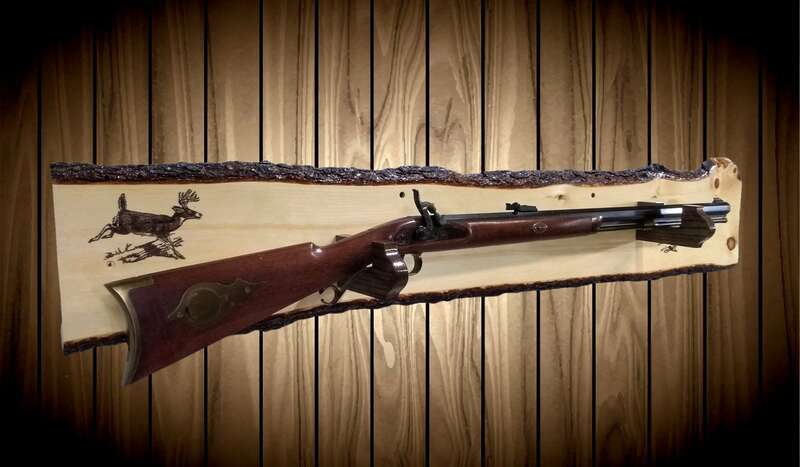 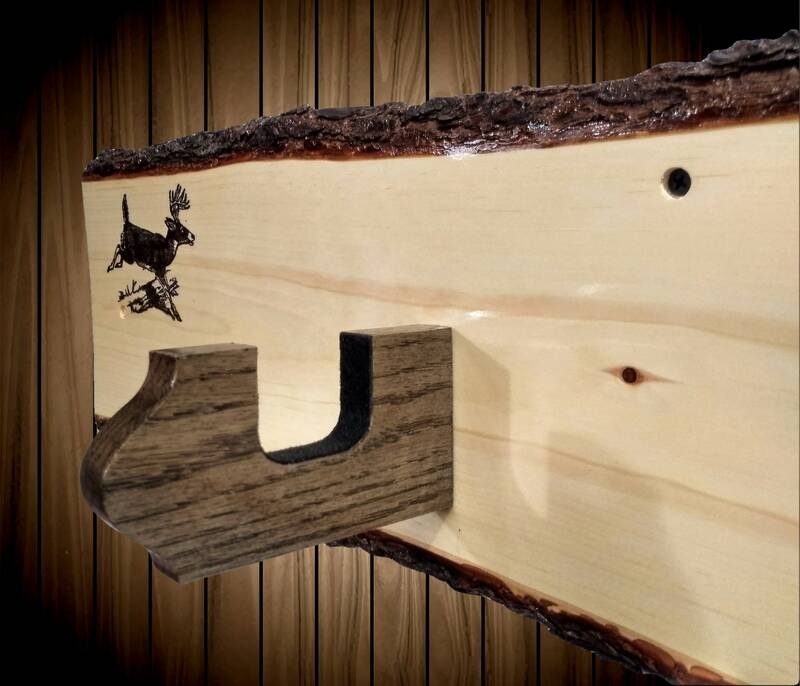 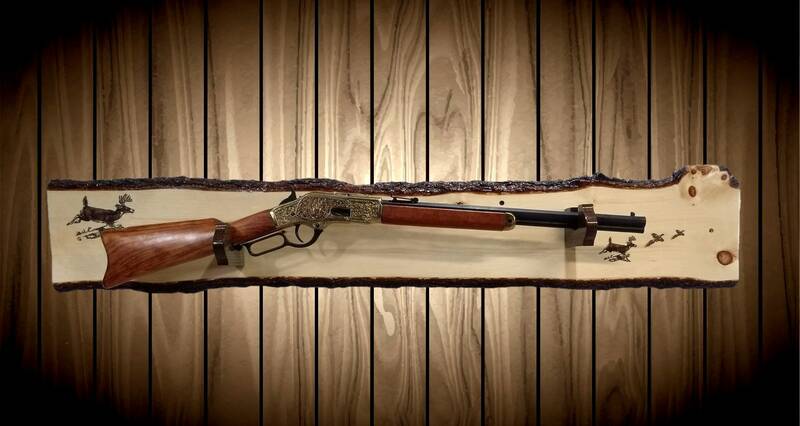 Check Out This One of a Kind, Handcrafted, Custom Gun Rack. 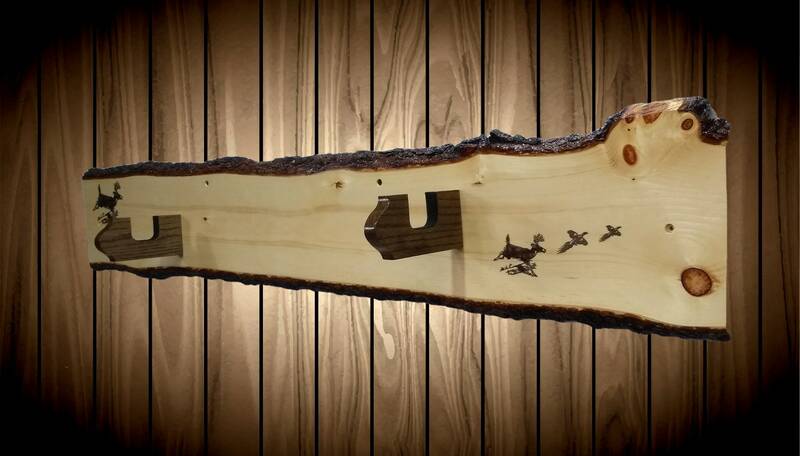 Nature and Art Meet In A Rustic Kind of Way. 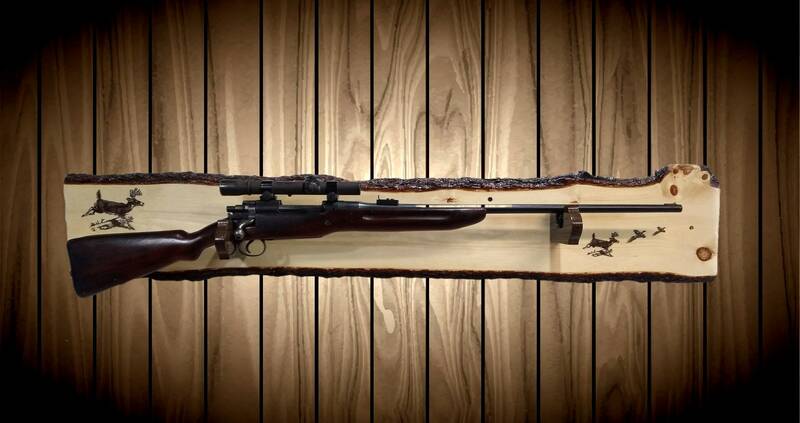 Great Display For Those Vintage Guns, Grandpa's or Dad's. 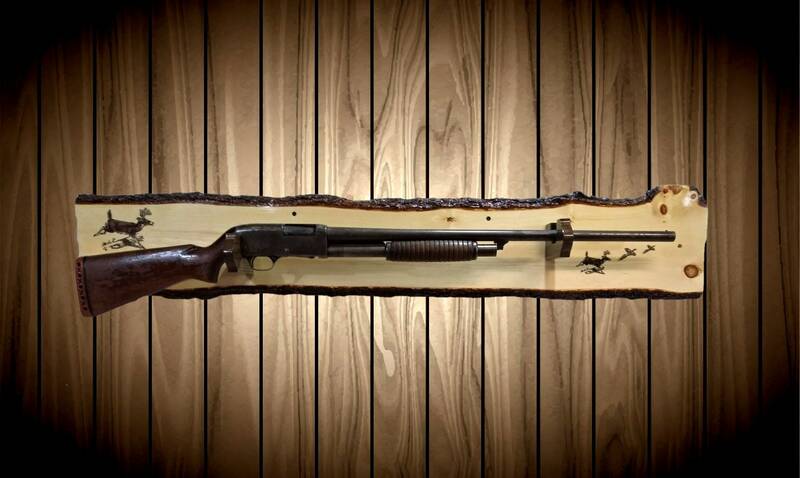 Bring Out Those Old Memories... or....Start A New One. 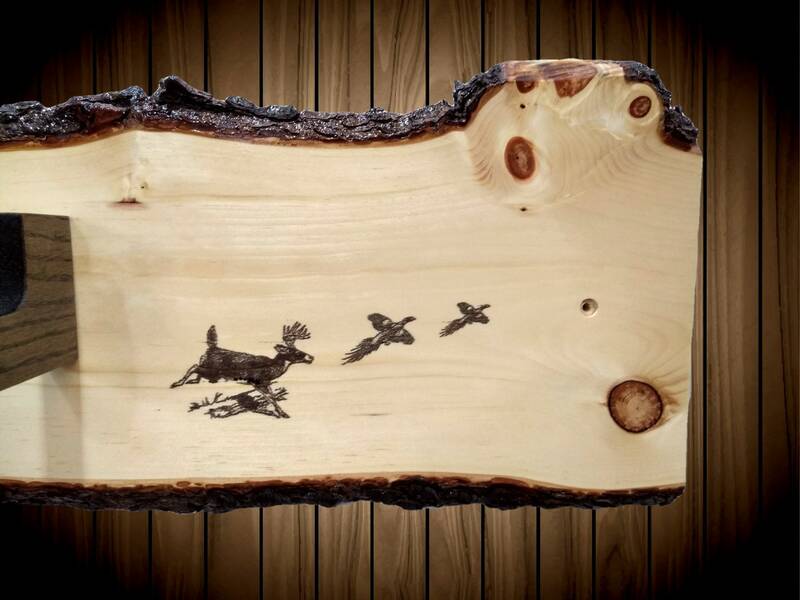 Deer and Pheasants Printed On Wood. 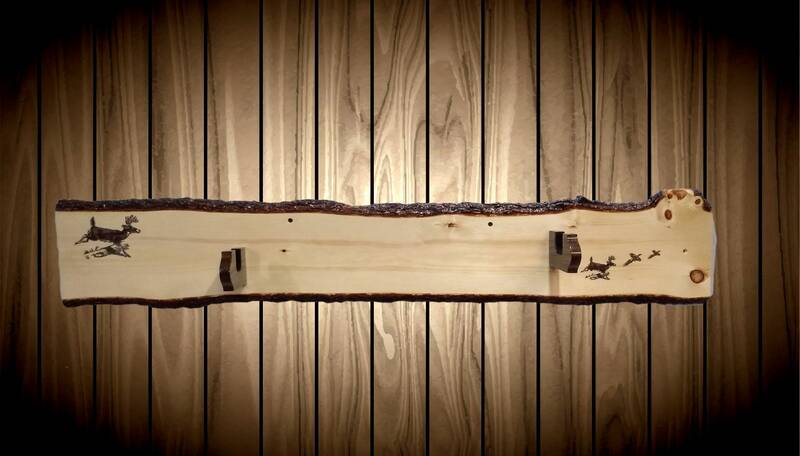 Unique Black Oak Hangers w/Felt.